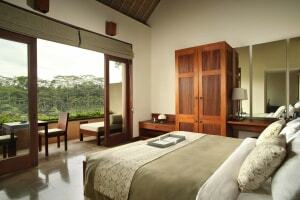 Alila Ubud will serve as the best getaway if you want a break from the hustle and bustle of the city. 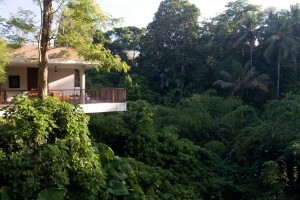 15 minutes away from Ubud, Alila Ubud is located on the high up edge of the Ayung river. Enrich yourself with Ubud's rich history, artistic energy and cultural heritage while your stay in Alila Ubud. They have a range of fun tours and activities such as visits to some of the most ancient and secluded temples, treks to Mount Batur and so much more. Apart from this, the pools in Alila Ubud come under the 10 Most Incredible Swimming Pools in the World and has also been placed 17 among the 20 winners of Conde Nast Traveler UK Readers Choice Awards – 2017. Fest on the authentic Balinese flavors and farm-to-table western tasting with a very well curated menu inspired by seasonal ingredients from our organic garden. The open-planned Balinese-style dining venue with central bar and coconut-palm-pillared canopy is sure to heighten the experience. Additionally, the restaurant also has a well-selected wine list to tantalize your taste buds. The Cabana Lounge is an intimate social space for relaxation while sipping on a cocktail or two. In case of dietary restrictions, inform the staff in advance. Tucked away in a corner amidst tropical rain-forest with loungers lined by its side Infinity Pool at Alila Ubud is a delight to be at. The 25-metre infinity swimming pool is a central feature of the resort, it provides the place to lay back and enjoy the valley and greenery. Kindly ensure that you wear appropriate swimwear before entering the pool. In case you require an extra crib, please request for it in advance. In accordance with local regulations, all visitors must remain within the hotel property during Seclusion Day/Hindu New Year on March 7, 2019. Children between the age of 0-3 years can use a cot or an existing bed for free. 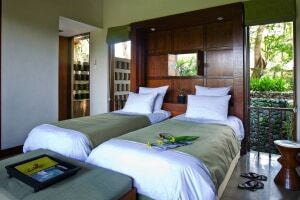 Children from 4 years and above can use an extra bed at Rp 627,000 per child, per night.